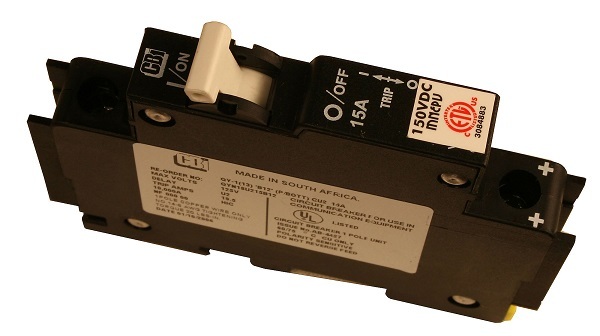 Click the button below to add the Midnite Solar 20A DC Din Rail Breaker to your wish list. These are most commonly used in array combiners, but are suitable for any DC circuit up to 150 volts, such as DC distribution and small inverters. These mount on any standard 35mm DIN rail. For E-Panels, MNDC, Combiners and Baby Box. These are standard DIN rail mount, and fit nearly all array combiners, including Outback Power, Midnite Solar, and ReadyWatt. 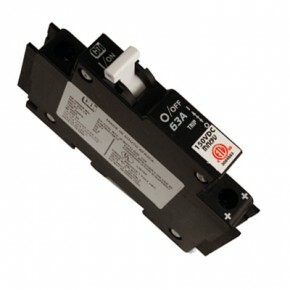 150VDC din rail mount breaker (13mm [.5"] wide)for MNPV array combiners and other DC circuits (not UL listed for AC). Midnite Solar breakers and the Outback Power PV array breakers are identical and may be used interchangably.